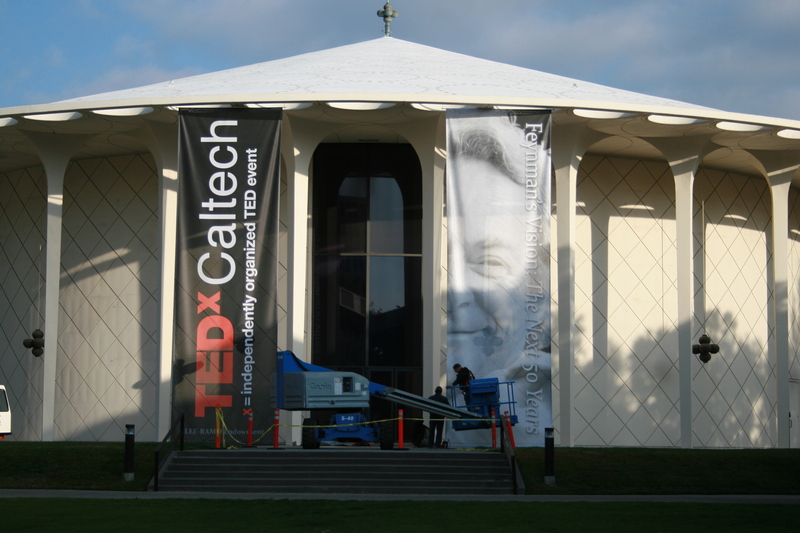 TEDxCaltech will be held at the California Institute of Technology on Friday, 14 January 2011, from 9 a.m. to 6:30 p.m. TEDxCaltech will take ideas worth sharing from Caltech out into the world by celebrating Nobel laureate, visionary, and all-around “curious character” Richard Feynman, with the theme “Feynman’s Vision: The Next 50 Years.” TEDxCaltech will introduce attendees to two of his core philosophies: making science accessible and the resultant pleasure of finding things out. Our audience will consist of innovators, entrepreneurs, civic leaders, venture capitalists and Caltech students, faculty and staff brought together for an exhilarating day of conversation and celebration. Our speakers are pushing themselves way outside their comfort zones to share their newest, unique, and most visionary ideas. The day will be punctuated by many shorter pieces, including music, performance and comedy. There are no breakout groups; all participants will share in the same experience. Because of this, there won’t be “in-and-out” seating. Once the doors close for each session, they’ll remained closed until the next break. This well proven TED paradigm results in a confluence of amazing and thought-provoking talks, collectively aimed at creating a better future — for those involved, and for the community beyond. 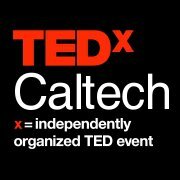 Using the fast-paced and intensive format of TED talks, distinguished scientists, business leaders, bold entrepreneurs and a few extraordinary student speakers will explore broad themes in three thought-provoking sessions punctuated with generous food and conversation breaks for an all-inclusive day. It promises to be an exciting and entertaining intellectual adventure! Since not everyone is familiar with TED or TEDx, here’s a two-part 411. TED is a nonprofit organization devoted to Ideas Worth Spreading. Started as a four-day conference in California 25 years ago, TED has grown to support world-changing ideas with multiple initiatives. The annual TED Conference invites the world’s leading thinkers and doers to each speak for 18 minutes. Their talks are then made available, free, at TED.com. TED speakers have included Bill Gates, Al Gore, Jane Goodall, Elizabeth Gilbert, Sir Richard Branson, Nandan Nilekani, Philippe Starck, Ngozi Okonjo-Iweala, Isabel Allende, and UK prime minister Gordon Brown. The annual TED Conference takes place in Long Beach, California, with a simulcast in Palm Springs; TEDGlobal is held each year in Oxford, UK. TED’s media initiatives include TED.com, where new TEDTalks are posted daily, and the Open Translation Project, which provides subtitles and interactive transcripts as well as the ability for any TEDTalk to be translated by volunteers worldwide. TED has established the annual TED Prize, where exceptional individuals with a wish to change the world are given the opportunity to put their wishes into action; TEDx, which offers individuals or groups a way to host local, self-organized events around the world; and the TEDFellows program, which helps world-changing innovators from around the globe become part of the TED community and, with its help, amplify the impact of their remarkable projects and activities. TED2011, “The Rediscovery of Wonder,” will be held from February 28 to March 4, 2011, in Long Beach, California, with the TEDActive simulcast in Palm Springs, California.